The brilliant shades of the peony have not always been the state flower of Indiana. For a stretch of time from the early 1930’s to the mid 1950’s, the zinnia was the state flower. Prior to that, the blossom of the tulip tree was considered the state flower when the original state flower, the carnation, was declared a foreign species to Indiana and therefore not worthy of being recognized. 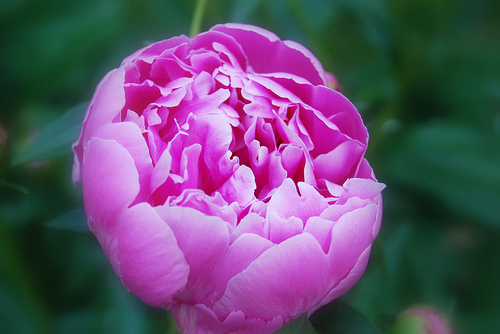 In 1957, however, the Indiana General Assembly adopted the peony as the state flower. The bright flowers with its lush vegetation are as rich as the state in regard to sheer beauty. The peony has large blossoms with rings of petals. The peony blooms in both single and double varieties from the end of May through early June in many different shades of red, pink and in white. Since no specific variety or color was selected by the General Assembly any version of the peony can be considered the state flower. In a bit of ongoing scandal, it’s said that a peony grower is behind the selection of the flower as a dogwood blossom had originally been proposed by the state senate. Peonies are popular throughout the state in both personal and public gardens. The hardy perennials bloom in the spring and leave attractive foliage through the summer and fall. The plant disappears underground in the winter only to reappear in the spring with even more large pompom blossoms. Peonies are especially hardy once they are well established. The plants can live for up to a century and finding 100-year-old peonies is not entirely uncommon. To plant peonies, you’ll want to prepare your flower beds ahead of time. The beds should include organic matter and be well fertilized. Once the beds are prepared, plant the tubers in the fall about two inches deep. 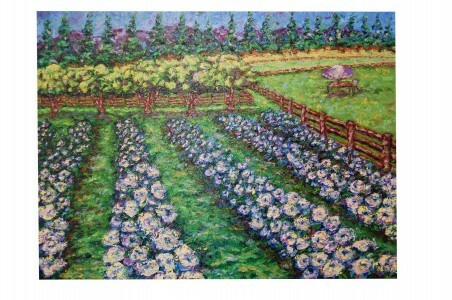 The peonies need only be fertilized once per year and do best when left alone to grow. This entry was posted on Thursday, July 15th, 2010 at 10:16 am	and is filed under American Flowers. You can follow any responses to this entry through the RSS 2.0 feed.